Photo 071. Bismarck Under Construction. Bismarck Under Construction. 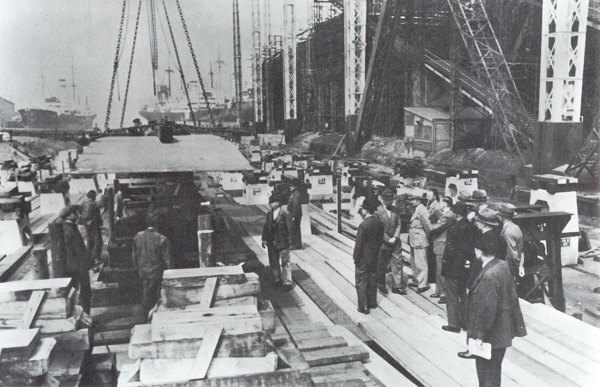 The keel of the Bismarck is laid down on Slipway 9 at the Blohm & Voss Shipyard. 1 July 1936.